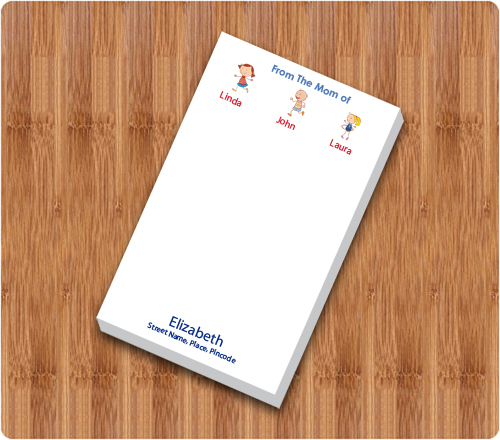 A 3 x 5.25 customized notepad mommy full color is becoming a favored gifting choice for individuals who wish to address their mommy in a touchy way. These notepads can be personalized with any symbols such as mommy’s favorite quotes, her caricatures, her life in visuals, etc. This notepad can be sought in 25, 50 and 100 sheets and individuals can offer them during mommy’s birthday, her anniversary, or some milestone event in her life. 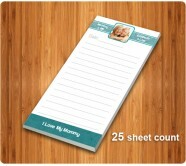 You can perhaps sponsor a personalized mommy notepad for mommy and offer it as a part of gifting favor on her behalf!